Sunshine may be good for the soul, but the delicate skin on your face needs protection. 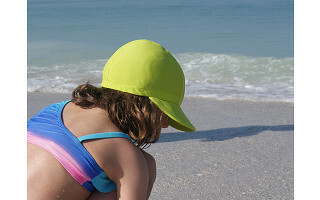 If only sunbonnets and baseball hats would stay securely in place like a swim cap. . . That’s what Karen Gellis, a mom of three children was thinking when she came up with the idea for Swimlids. 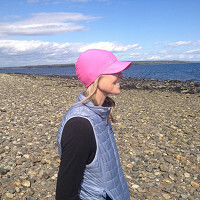 This innovative sunny day solution is uniquely designed to fit snugly on your head like a swim cap, yet Swimlids are comfortable and look like a baseball hat. On a windy day, while boating, splashing around in the ocean, or even swimming under water, these sun hats stay right where you want them. The nylon spandex material is quick drying and features built-in UPF 50+ sun protection and a variety of bright, bold colors to choose from. Top off your outfit with a Swimlid and soak up whatever the day holds without worry. 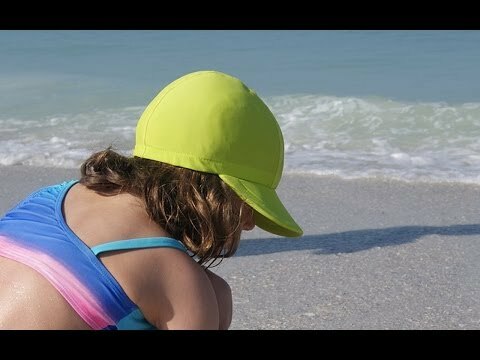 I created Swimlids with one simple goal in mind: protecting my children from the potentially harmful rays of the sun so they could play outside and enjoy their summer. I'm proud of the final product and I'm excited to work with The Grommet, home to so many other inspiring women entrepreneurs. I look forward to answering your questions, thanks Grommeteers! These look great. Need help with sizing. Can you equate S, M, L, XL in inches? Sorry, I just found info I needed. My fault, didn't look carefully. Thx. Am ordering now. Do they keep the hair under the swim cap part dry? not really. It won't be as wet as if you were just in the water...but it's nylon/spandex so some water will get in. I hope that helps! Funny you say that someone asked me that about a month ago. A ponytail will actually fit under it. The hat itself has quite a bit of stretch. Thanks! I would love to buy one of these for my father who is in his 70's and bald. You should think about making them to fit larger heads and colors/patterns that an older person would like. Just a thought. Great idea! Hello. The large will fit an adult. We have many older people that wear them. They are really popular for older people doing water aerobics etc. The blue is what most adults wear. Will the adult large size fit 7/58 to 8? @Karen Are you considering larger size . . . Maybe an XL? Hi Antonio yes we are considering an xl. But it won't be until 2015. BTW the above measurements should be in centimeters not inches. I am sorry it's in inches....busy busy day!!!! Thanks for the feedback and just out of curiousity what color would you want if you could get one. Thanks Grommet for a great day!!! Sunshine may be good for the soul, but the delicate skin on your face needs protection. If only sunbonnets and baseball hats would stay securely in place like a swim cap. . . That’s what Karen Gellis, a mom of three children was thinking when she came up with the idea for Swimlids. 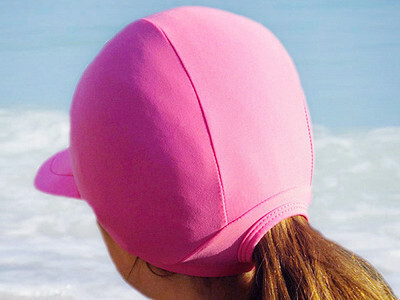 This innovative sunny day solution is uniquely designed to fit snugly on your head like a swim cap, yet Swimlids are comfortable and look like a baseball hat. 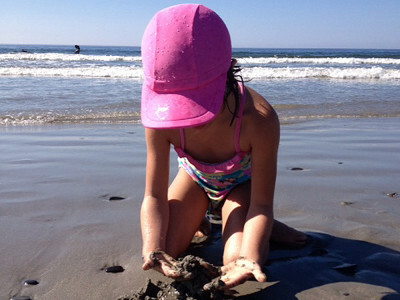 On a windy day, while boating, splashing around in the ocean, or even swimming under water, these sun hats stay right where you want them. The nylon spandex material is quick drying and features built-in UPF 50+ sun protection and a variety of bright, bold colors to choose from.